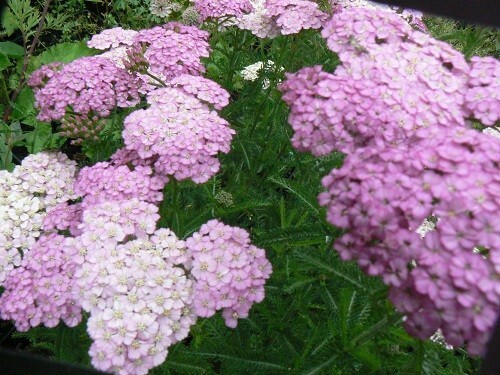 This is a very elegant pure white flowering form of Achillea, which holds its flowers high above a mat of mid green leaves with serrated edges. It can be invasive. 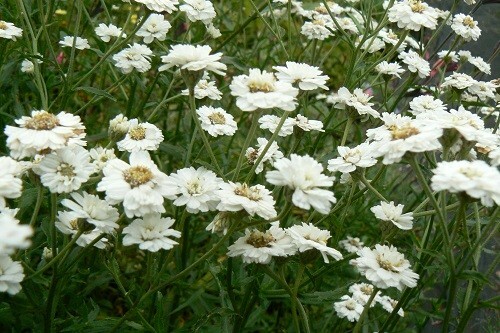 We grow it amongst tree roots which has stopped it spreading. Great for floral arrangers. 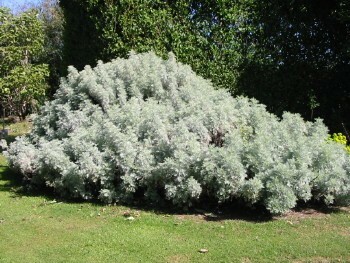 Lower growing but a delightful shade of lavender pink fading with age. 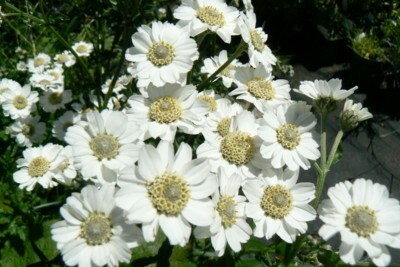 Originally from the Hawke Bay nursery of Peek Perennials many years ago. 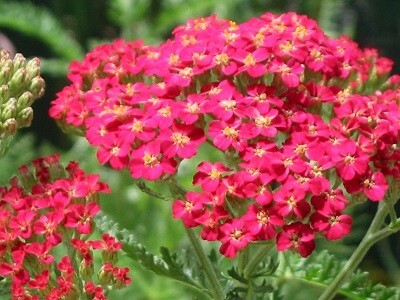 Small flowers of bright pink-red form flat heads that are carried on straight stems. In time the flowers fade to brick red. Mid green feathery leaves are carried on the stems and at the base. As for W.B. Childs but with double flowers. 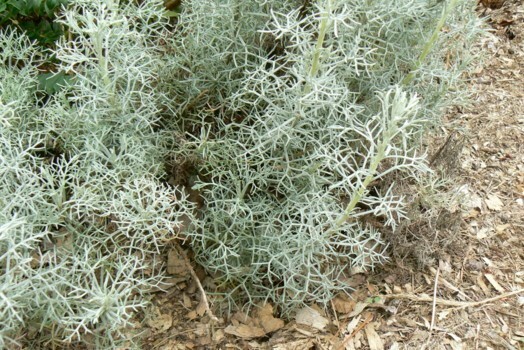 Can be invasive buy we grow it among the pine roots which keep in in control. 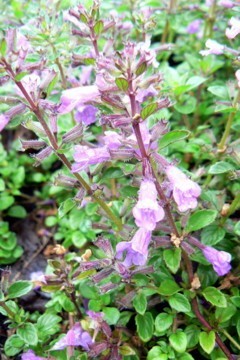 (Alpine Thyme, Alpine Calamint) A very attractive evergreen ground cover with violet-red flowers late spring/summer. Full sun, well drained soil. Drought tolerant. A native to the British Isles. 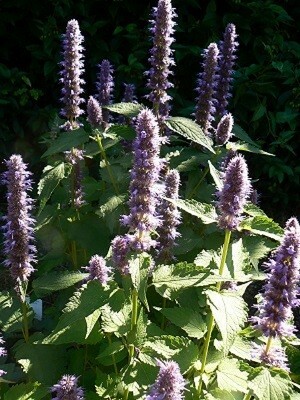 Growing from 10cm -30cm and does not produce the runners as do many Ajuga. 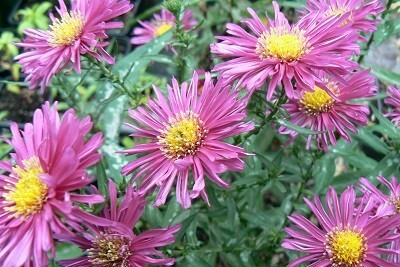 The flowers are violet-purple. 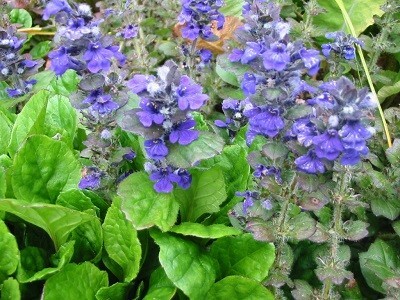 We consider this ajuga the best for flowers and colour. 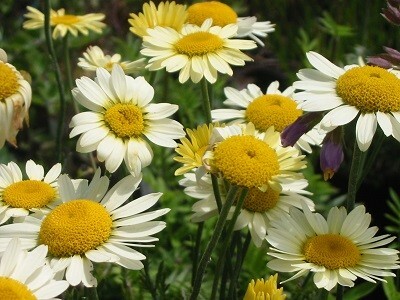 A cool lemon-yellow daisy which blooms endlessly throughout the summer. Not to be confused with A. t. 'Wargrave'. 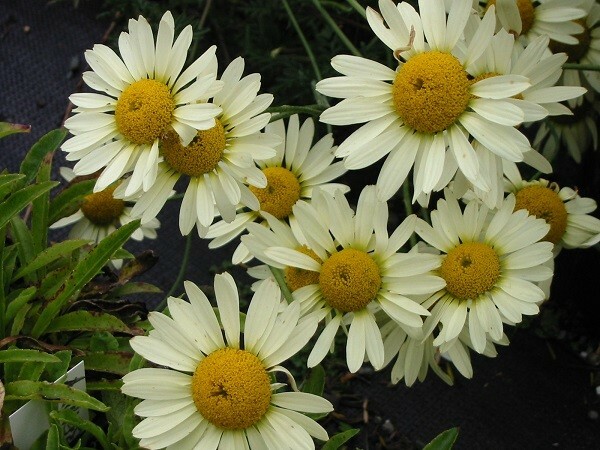 Our pick as the best Anthemis. 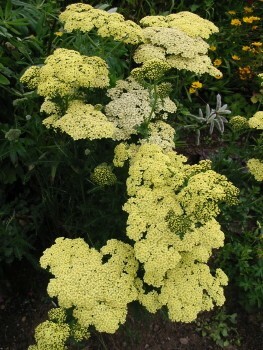 A form of Cow Parsley with mahogany-bronze ferny foliage and umbles of white flowers October-December. Hardy and long lived. 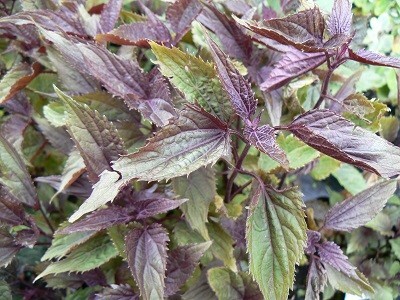 To 45cm Fine curling leaves on a plant that has a 'spiky' look. Rather interesting. A fine selection of Marjery Fish. 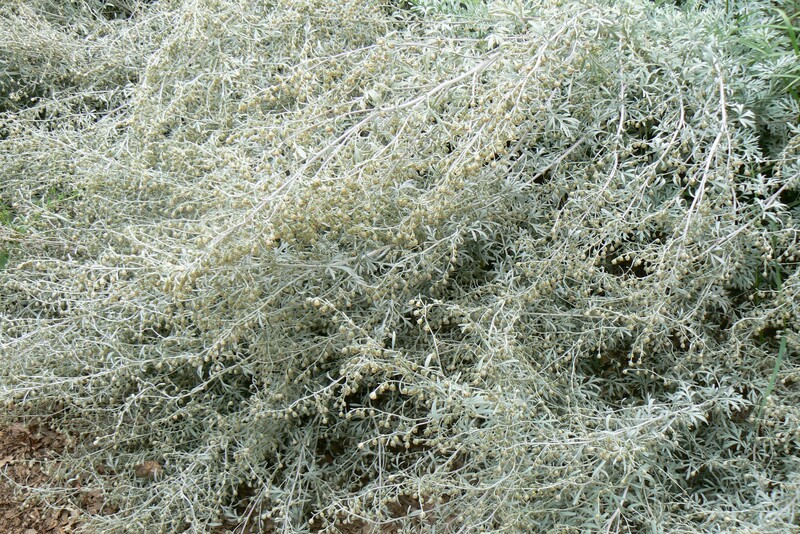 To 75cm the much divided leaves shimmer of silver. Perfect with copper foliage. 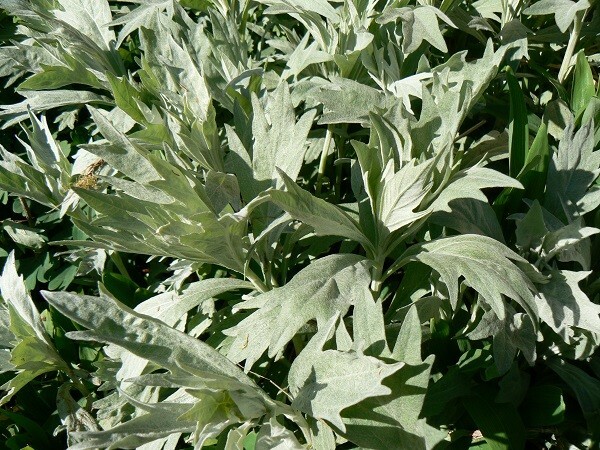 Artemisia stelleriana 'Mori's Form' also known as 'Boughton Star’ . 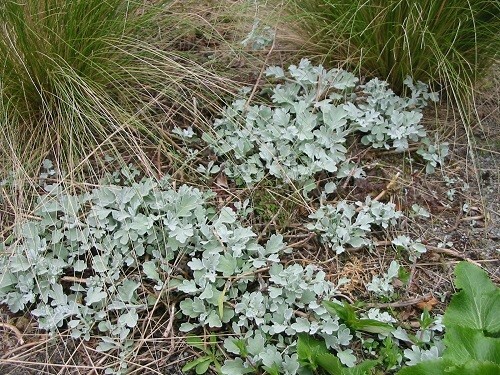 This is a ground hugging plant spreading to about 60cm wide; giving an attractive ground-hugging carpet of silver-white felted leaves. The flowers are small and insignificant. Full sun and dry. 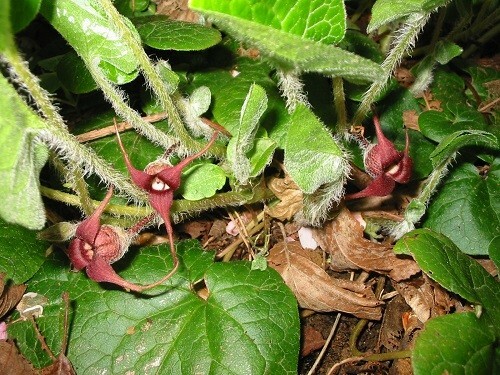 (Western Wild Ginger or Long Tailed Ginger)..A rhizomatous plant, semi evergreen, hardy and ideal as a ground cover (because of it's thick foliage) in moist and shady positions. 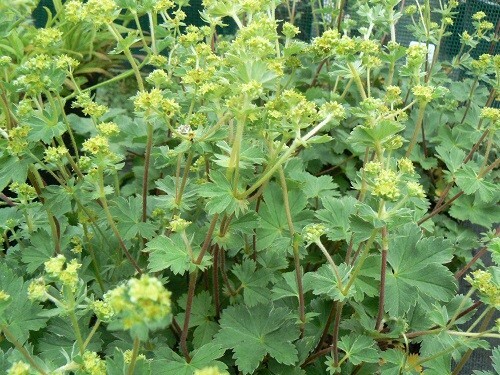 It's flower's resemble the well known Mouse Plant. 90-120cm x 60cm. Lush growing. 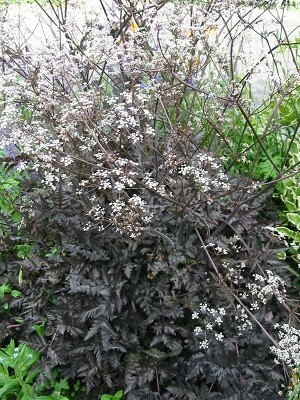 Broad dark foliage. 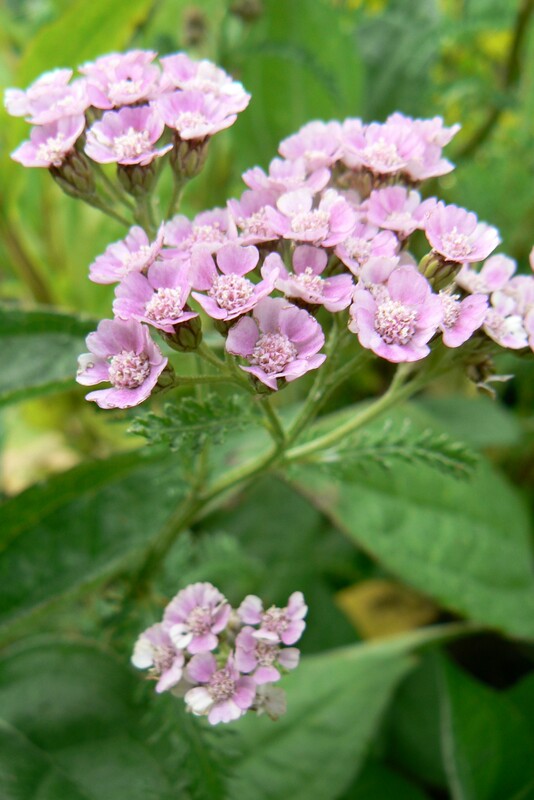 The flowers are larger than the species. 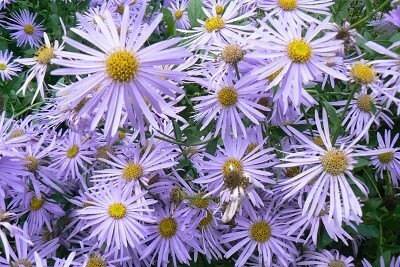 Violet-blue with yellow centres. 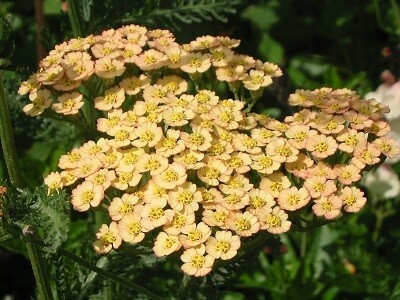 looks great with grasses and contrasting plants such as Achillea Anthea or A. Gold Plate.